Our team is here to make sure the storage process is as simple and enjoyable as possible. At Self Storage Plus on Greenbelt Road, in Lanham, MD, our storage units for rent offer an array of features that will make your life easier. Climate-controlled units are storage spaces that are cooled in the summer and heated in the winter, to avoid temperature extremes that can impact and degrade your belongings over time. In need of a parking space for your car, commercial vehicle, boat, or RV? We’ve got that too. And if you have important business files, equipment, or even office furniture that needs to be stored, we have the space you need. 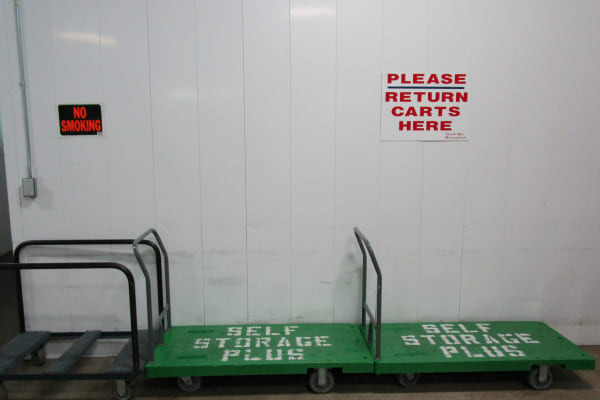 Self Storage Plus was built with the safety of your items in mind, and we provide a secure environment for them. Fully fenced and well-lit, our facility has 24-hour video surveillance for your peace of mind. Our onsite management team has office hours 7 days a week to ensure that they are here to help, whether you need help selecting the perfect storage unit size and type for your needs, guidance determining the perfect packing materials to pack your items, advice on how to store you belongings to maximize space, need to downsize or upgrade your storage unit, to make a payment, or just need a cold bottle of water on a hot day. When it comes to move-in day, take advantage of a free move-in truck, available for one-time use at unit rental. From month-to-month rentals to online bill pay, enjoy the many perks offered at Self Storage Plus. Let us take care of the tough stuff. Contact our friendly staff today at Self Storage Plus in Lanham, MD, to learn more about how we can make a difference for you.